TNI Bureau: Chinese novelist Mo Yan, who is popular for writing folk tales touching the rustic life, came to limelight after the Swedish Academy in Stockholm announced his name as the winner of the most prestigious Nobel Prize in literature. He is the second man from China to receive the award. 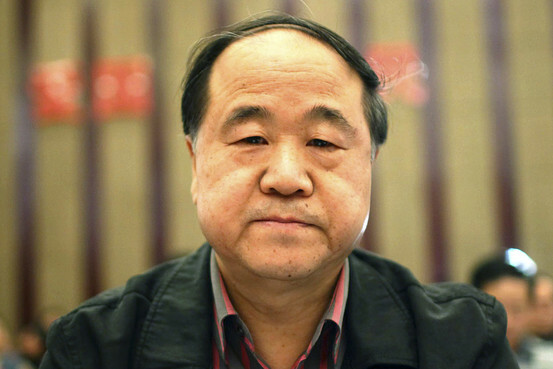 Mo Yan, meaning “not to speak,” is the pen name of Guan Moye. He was born into a farmers’ family in Gaomi in the Shandong province of eastern China on 17th Feb in 1955. He left school during the Cultural Revolution in China and started to work in a factory and then in the field. In 1976, he joined the People’s Liberation Army and during this time began to study literature and write. Mo’s first short story was published in a literary journal in 1981 but he was acclaimed for his novel “Touming de hong luobo,” in 1986 which was translated into French in 1993. Famous Chinese director Zhang Yimou filmed Mo’s novel “Hong gaoliang jiazu” in 1987. Several of his works have been translated into English, French and Japanese and many other languages. A major theme in Mo Yan’s works is the constancy of human greed and corruption, despite the influence of ideology. Mo Yan’s writing is characterised by the blurring of distinction between “past and present, dead and living, as well as good and bad”. Through a mixture of fantasy and reality, historical and social perspectives, Mo Yan has created a world reminiscent in its complexity of those in the writings of William Faulkner and Gabriel Garcia Marquez, at the same time finding a departure point in old Chinese literature and in oral tradition, the academy commented in the biographical statement.